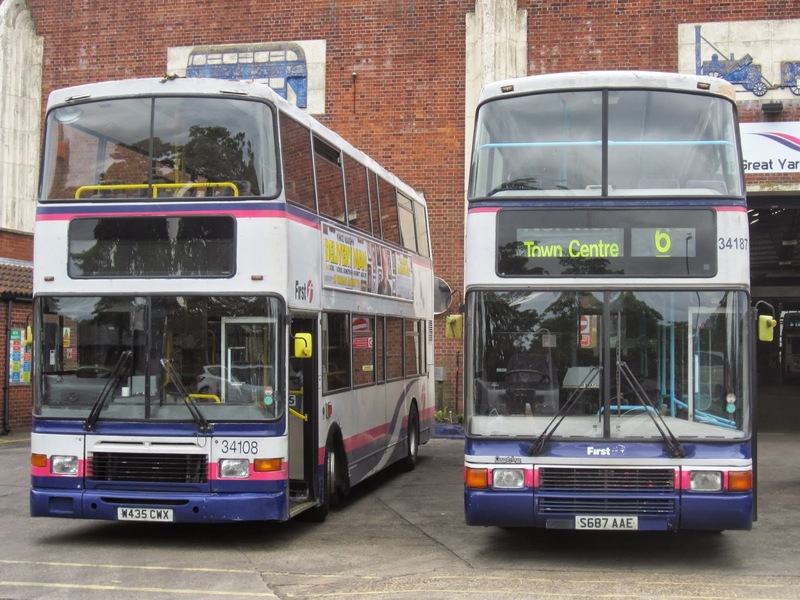 AU05DMV & 66981 KX05MHK have gone to Rotherham for refurbishment and repaint into the new livery. 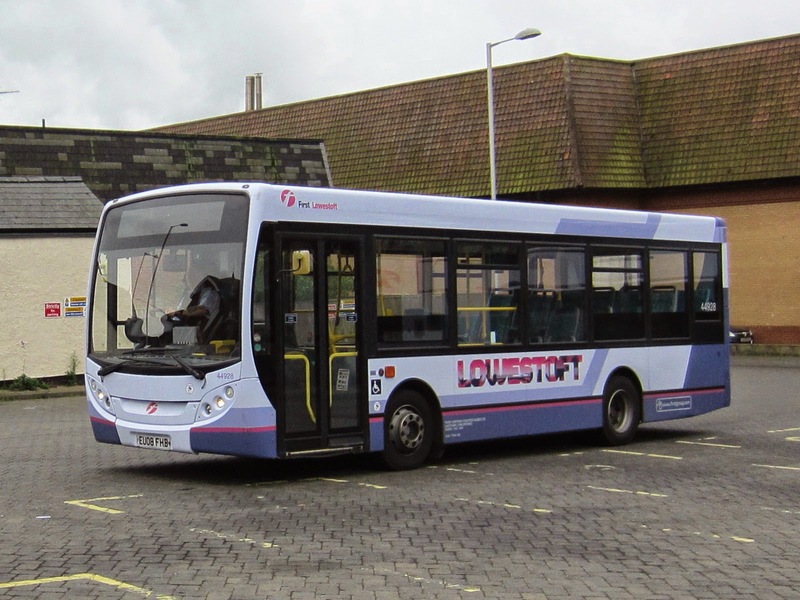 Being the old sceptic that I am, I assumed they would be there to make up the numbers and be used on any old Lowestoft route. It appears I have been proved wrong! 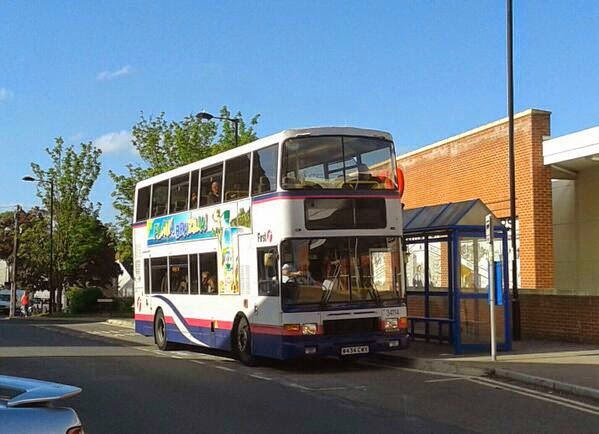 Ipswich Buses Scania/East Lancs 61 PJ54YZU soaking up the sun! I got there just in time to see President 32204 LT52WTK leading the charge with ALX400 32063 W223XBD bringing up the rear. The Eastern Area Traffic Commissioner yesterday published his latest Notices and Proceedings Report on the Gov.UK website. 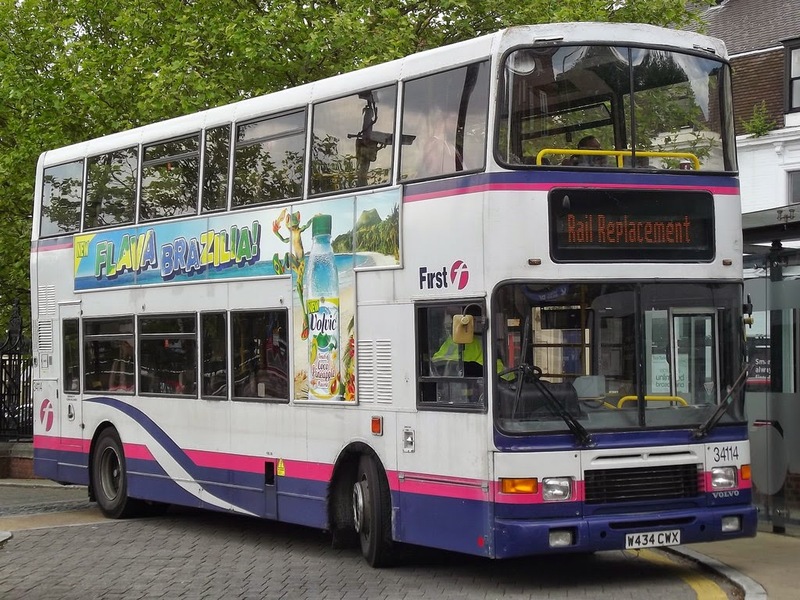 He informs me that the latest ex First Leicester ALX400 32058 W218XBD should be out on the road in Great Yarmouth for the first time today. 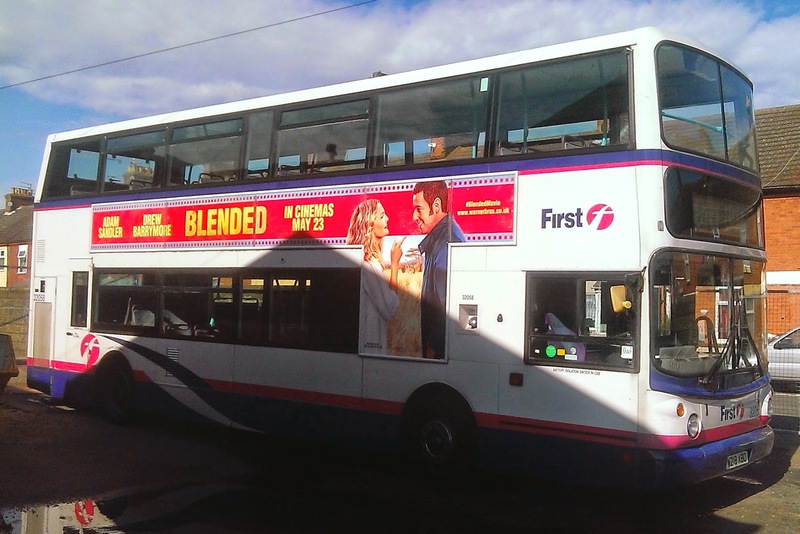 Sure enough I caught sight of it in the town centre early this afternoon - the second time I successfully got a photo of it on service 3! 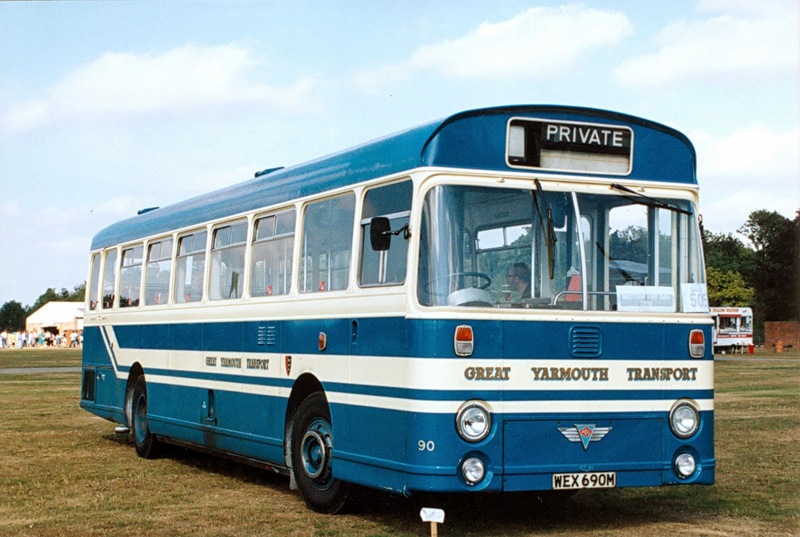 Previous posts have referred to the prospective move of Great Yarmouth's Gemini 37562 FJ08FYN to Lowestoft this weekend. 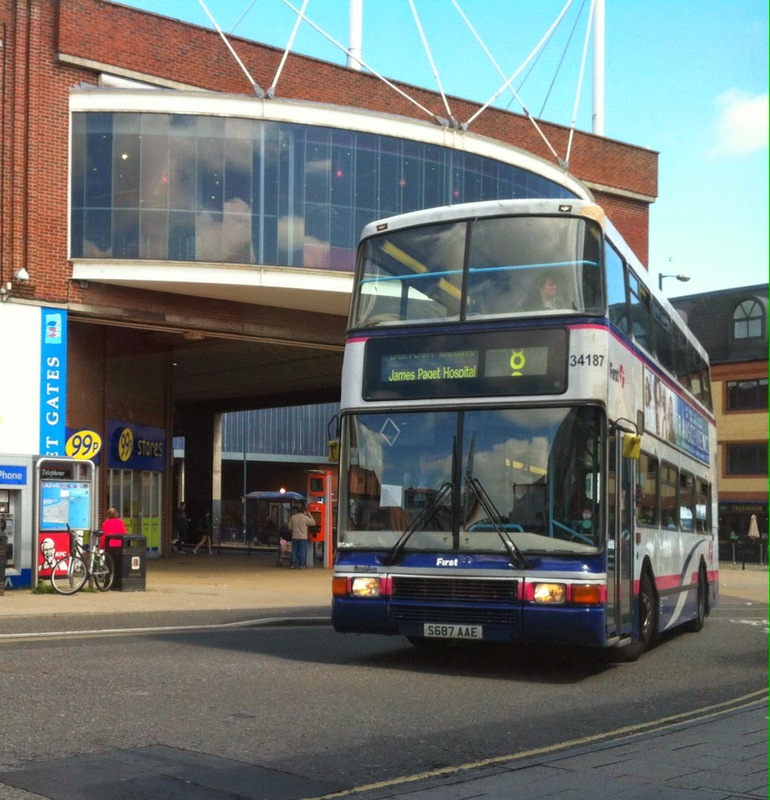 Ryan, our contact at Caister Road, reports that Lowestoft picked it up yesterday, a day early! 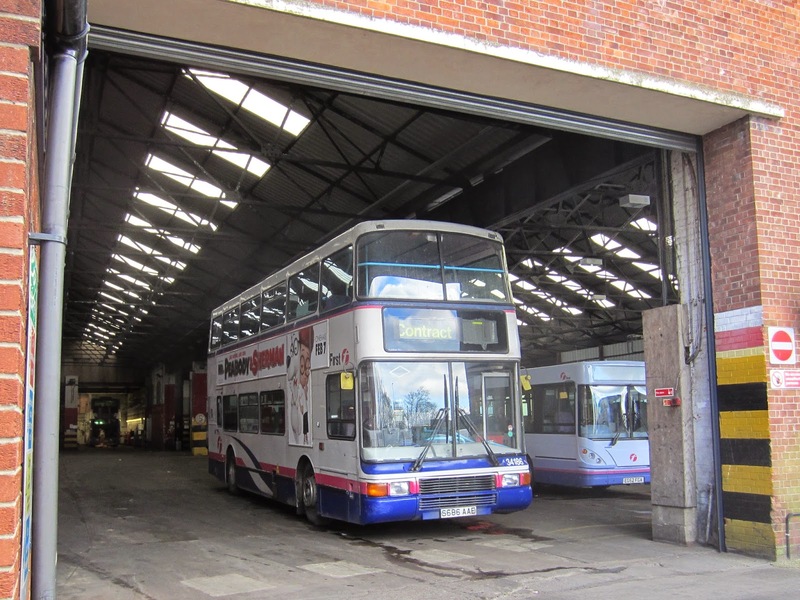 Registered W218XBD, Ryan got a quick photo of 32058 in the rear yard of Caister Road depot yesterday. Unfortunately the sun wasn't quite playing ball as it cast a shadow of the garage roof outline on the bus!! 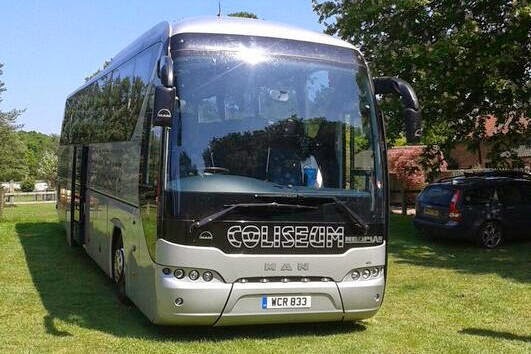 My thanks to SteveW for spotting the 'deliberate mistakes'! 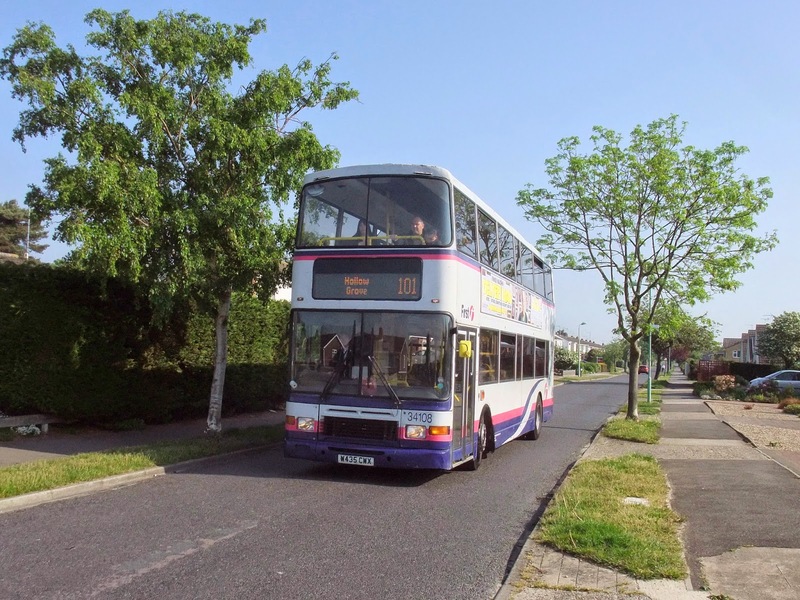 Syd got his photo of 34108 W435CWX on the 101 route in Broadwaters Road whilst it was working the 08:16 from the bus station to Hollow Grove. My thanks to Tim for the tweets and photos. It actually was 958 and with the damage being so severe the bus has been automatically withdrawn. It is alleged that a turbo had overheated causing the fire. 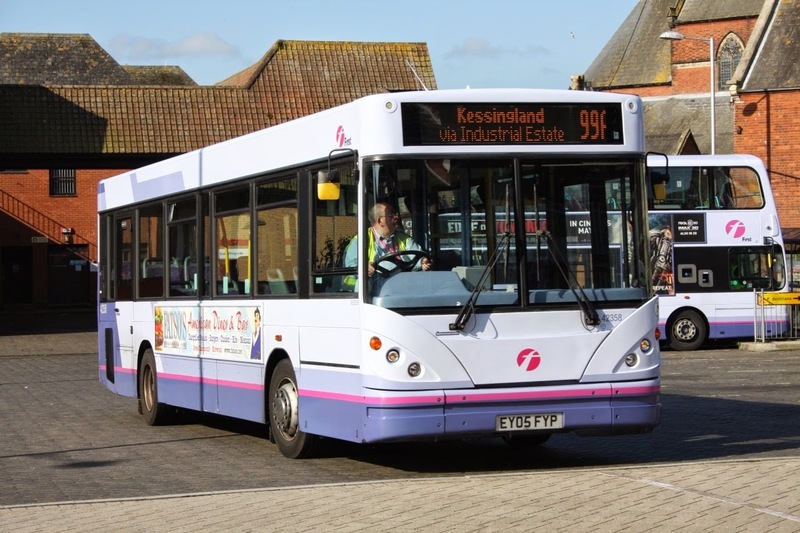 Service 99 The Kessingland service is being reintroduced and will operate at 20 minute intervals from Monday to Saturday and hourly on Sundays. 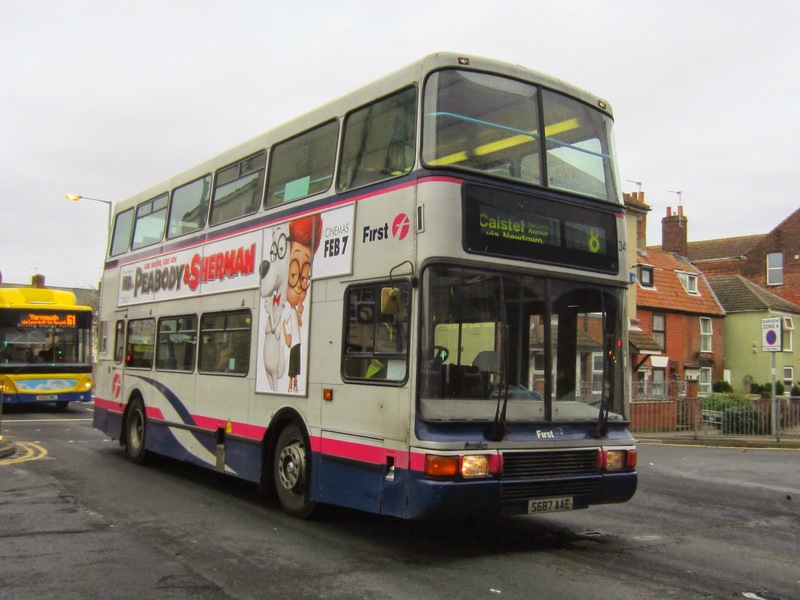 Some peak hour journeys are numbered 99A operating via Pinbush Road on the South Lowestoft Industrial Estate. 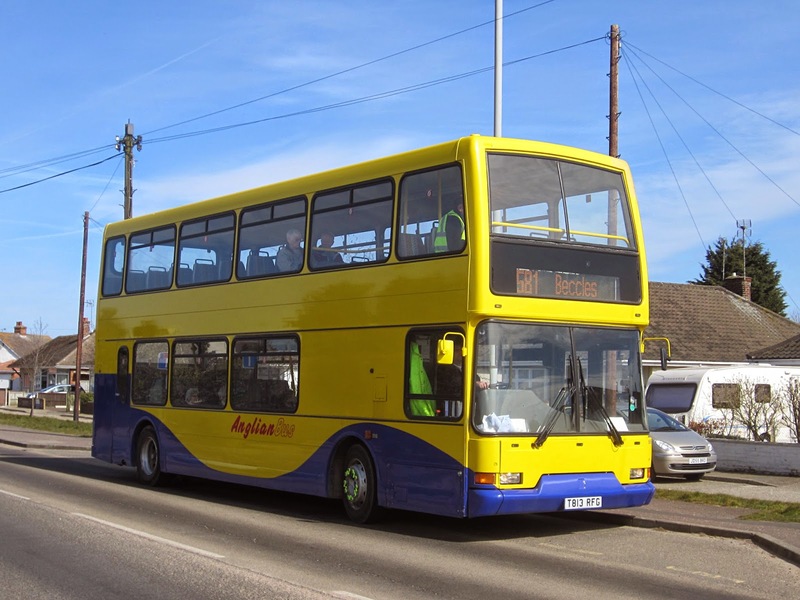 Service 101 Evening and Sunday 121 journeys will revert to a through service from Hollow Grove to Gunton and numbered 101. 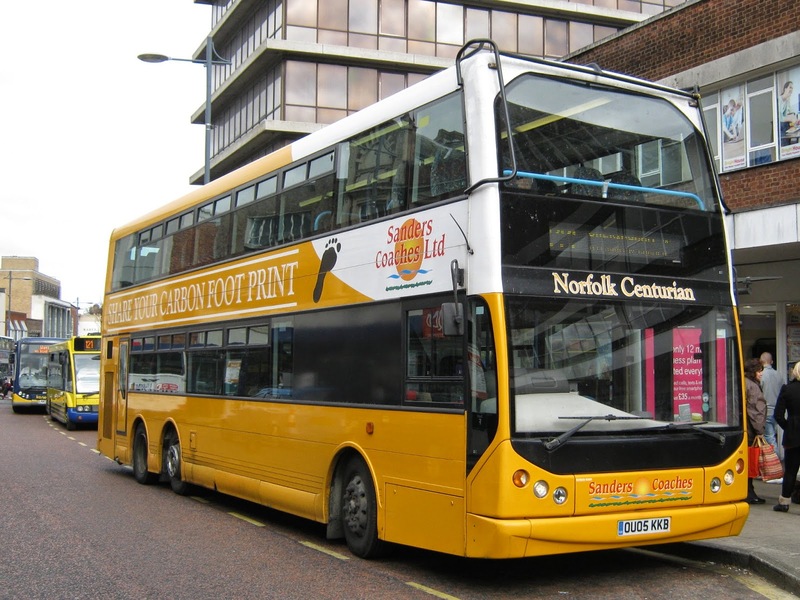 The main route in Gunton will also change, with Europa Road no longer being served. 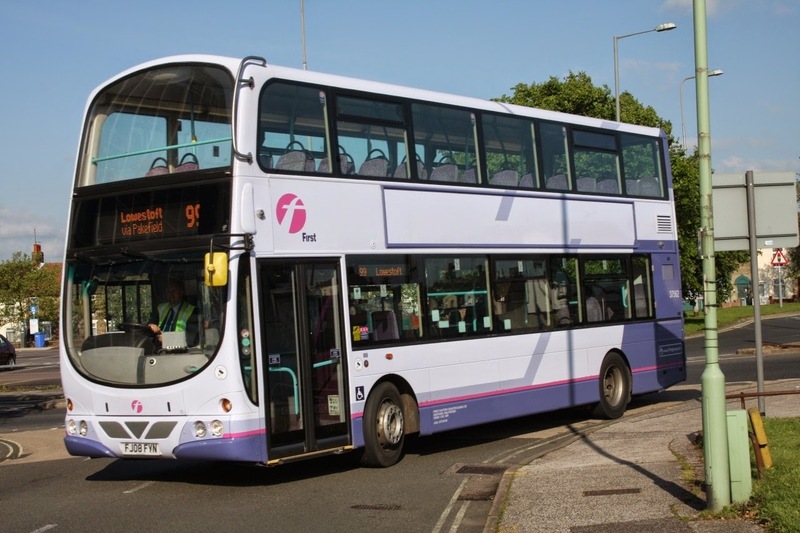 The 101 will use Hollingsworth Road and Harris Road instead. 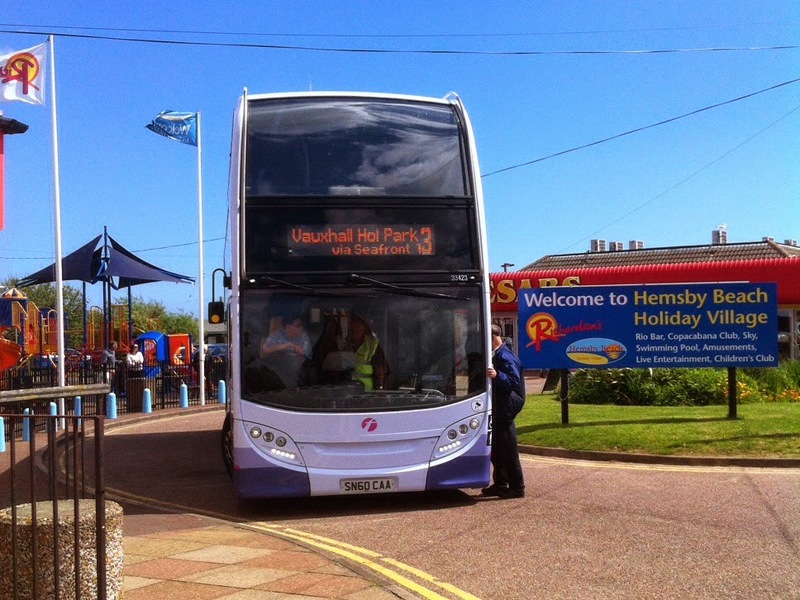 Service 103 Peak hour journeys to South Lowestoft Industrial Estate are replaced by the new 99 journeys. 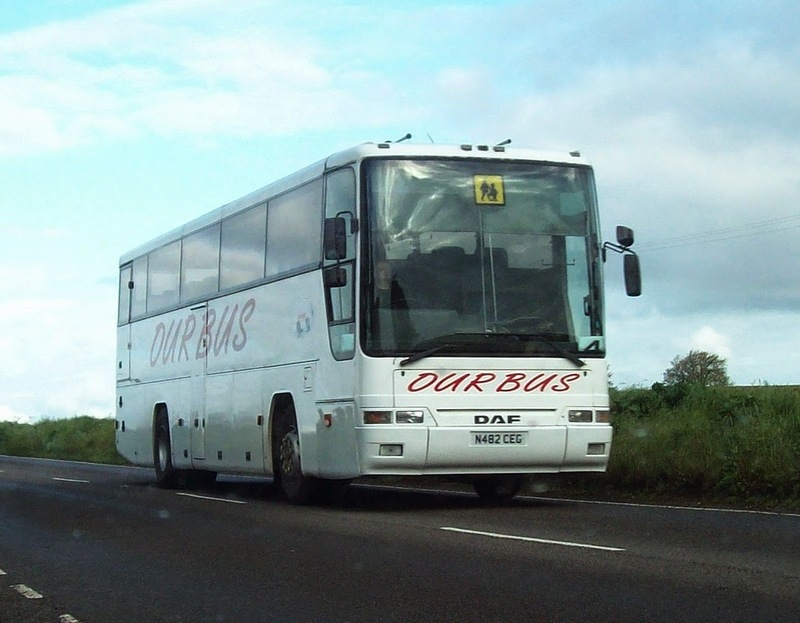 There is no change to the main 103 service. 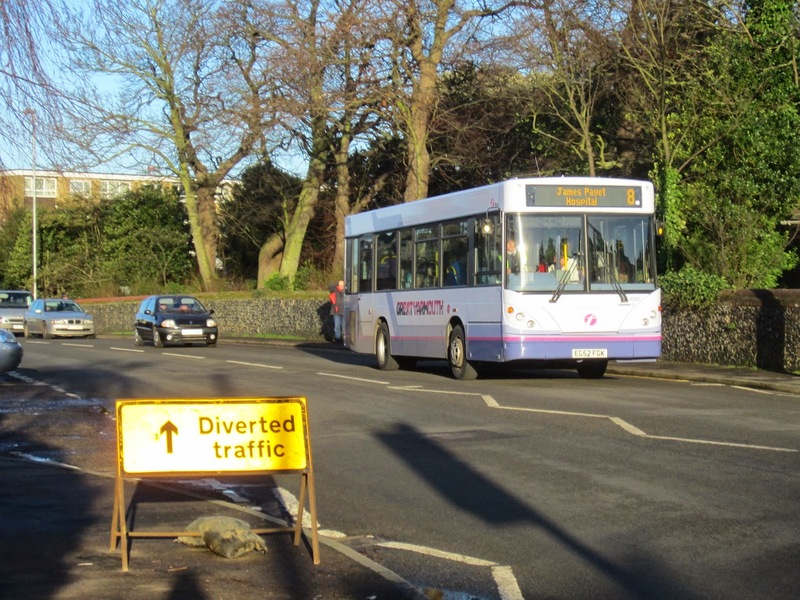 Service 122 Evening and Sunday journeys have been re-timed and diverted inbound along Fir Lane instead of Peto Way. Service 123 There are changes to the route and timetable. 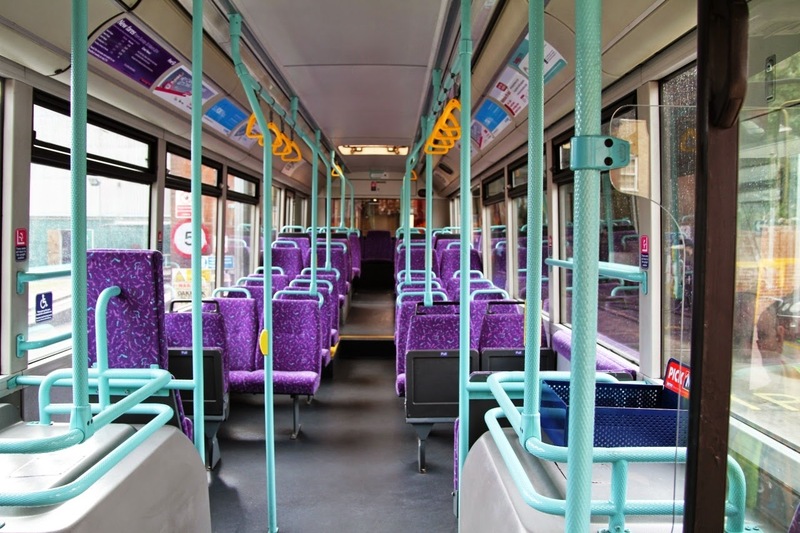 It will operate hourly on evenings and Sundays to Carlton Colville, via Pakefield, Ribblesdale and Castleton Avenue (outbound). Inbound journeys operate along The Street. 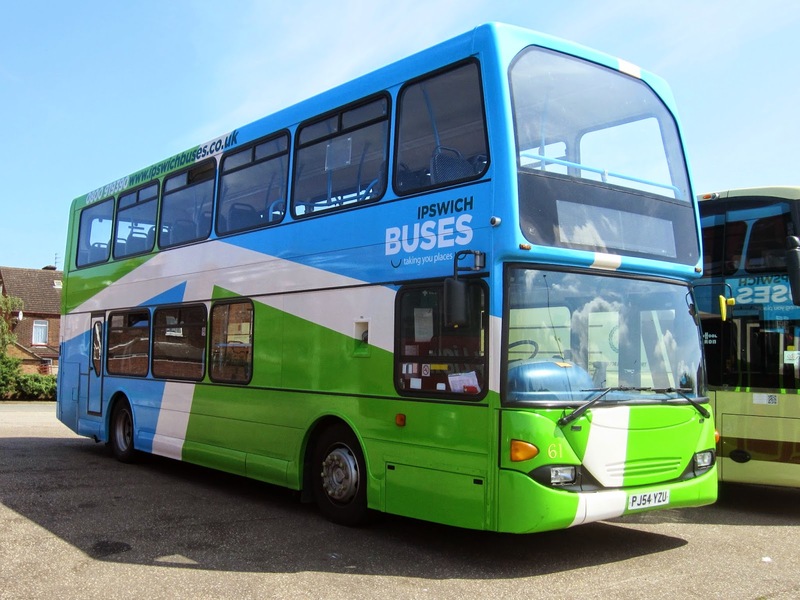 Service X22 There will be two morning inbound journeys through the estates to Beccles at 0725 and 0930 and one outbound journey at 1315 which are extended through to Beccles, Monday to Friday only. 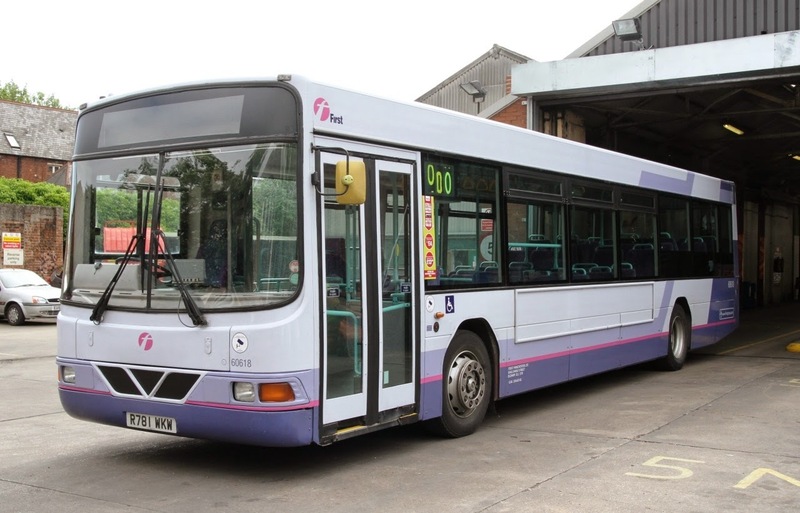 However, there will be an increase in the frequency of the remaining part of the route (ie Long Road and Carlton Colville) from hourly to every 30 minutes between 0930 and 1400 in addition to the hourly 103. 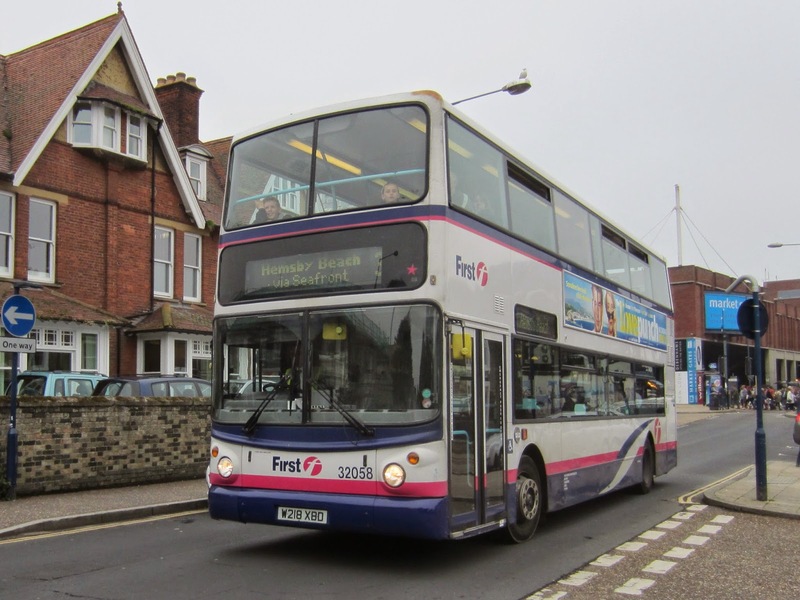 With First's introduction of the 99 there will generally be a 20 minute frequency between Lowestoft and Pakefield. 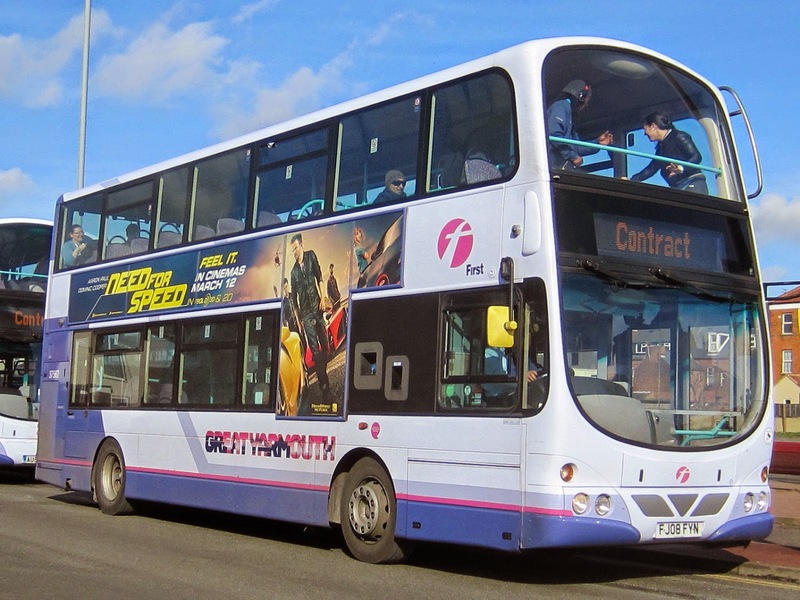 Services 99, 123 and 122 will be interworked to provide an hourly service on all these routes. 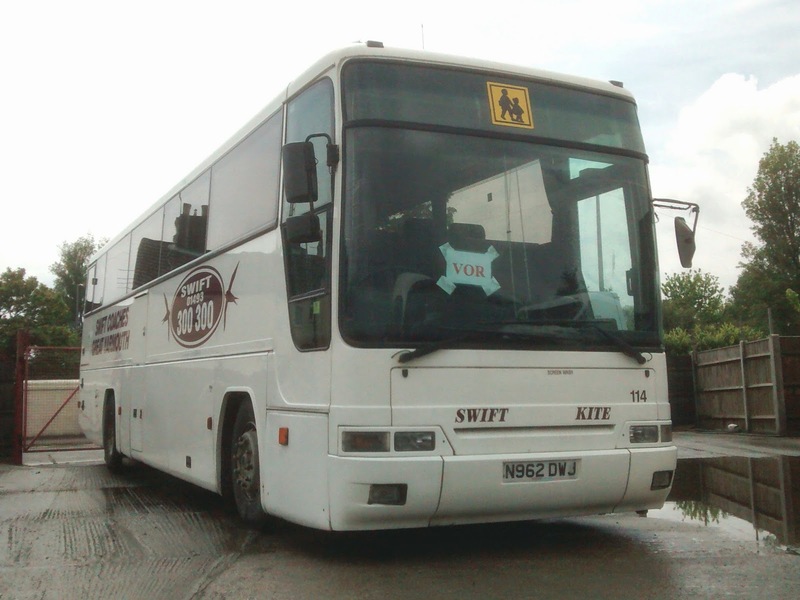 Service 101 will operate as a stand-alone service, again with an hourly frequency. SteveW texted me this morning to say that he was on the 'short set' hauled train about to leave Lowestoft at 10:57 for Norwich. Unfortunately it never left as the Somerleyton swing-bridge decided not to play ball! 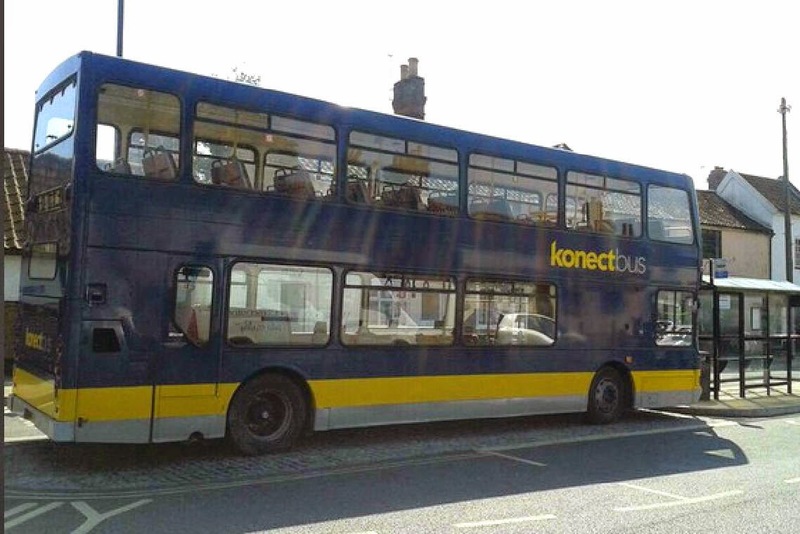 Regular contributor Tim Miller was passing the bus stops in the Old Market in Beccles when he saw a Konect liveried decker parked up. The Eastern Area Traffic Commissioner yesterday published the latest Notices and Proceedings Report on the Gov.UK website. Information source: Traffic Commissioner for the Eastern Traffic Area - Notices & Proceedings Report 2179 - published on 14th May 2014. 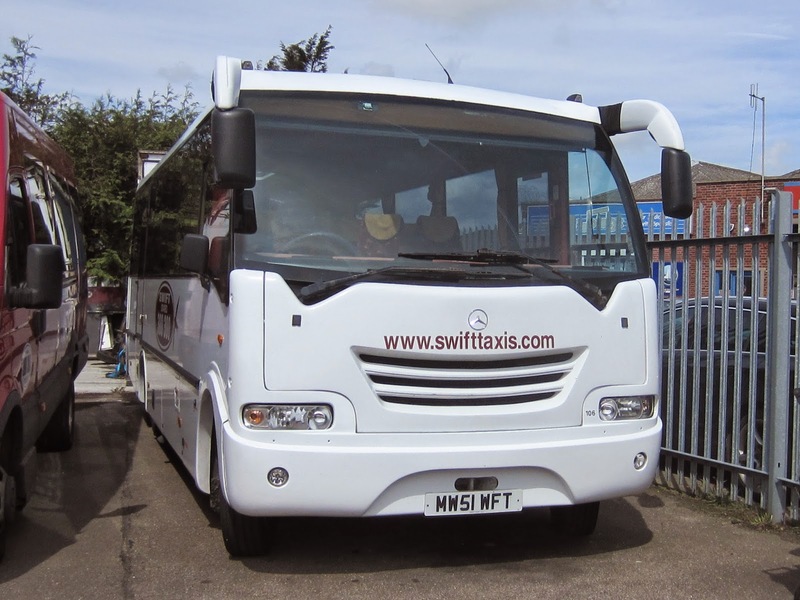 Swift Taxis Volvo B10M/Jonckheere GLZ3141 operating service 11 to Flegg High School. 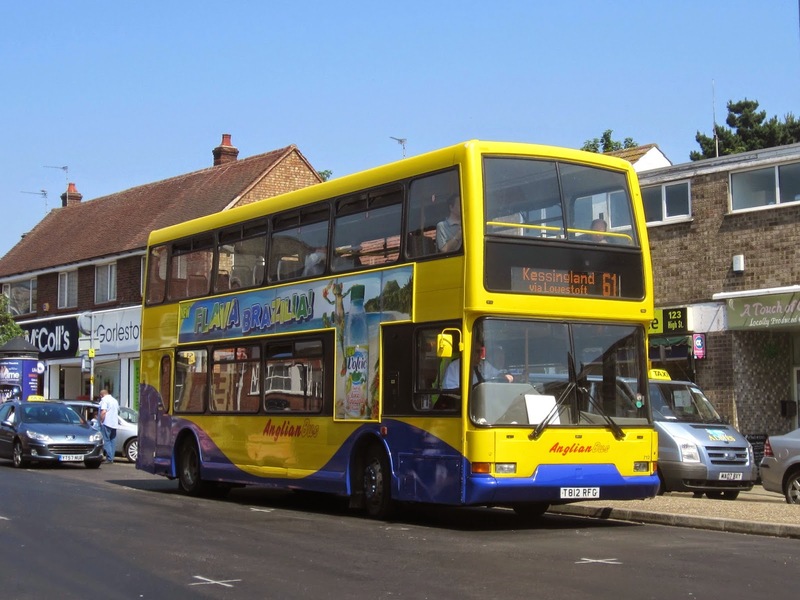 Anglianbus Scania AN61BUS on the 68 route to Gorleston. 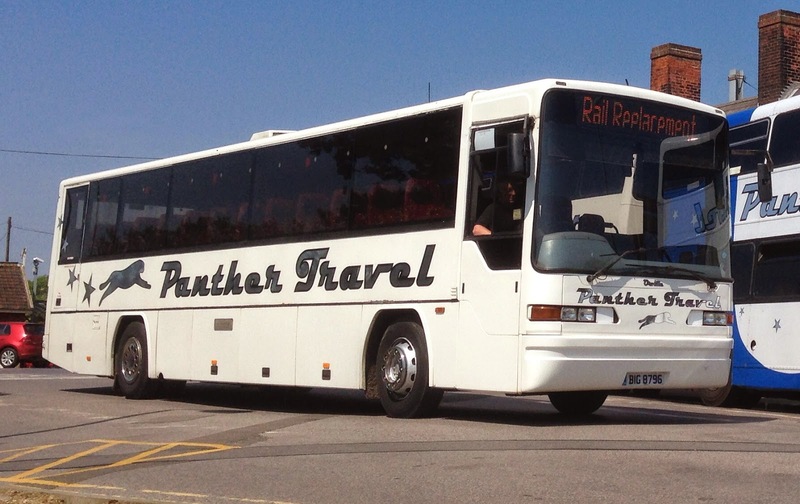 Reynolds Coaches Volvo B10M/Van Hool BEZ3139 on its way to Lingwood to operate service 3B to Acle Academy. 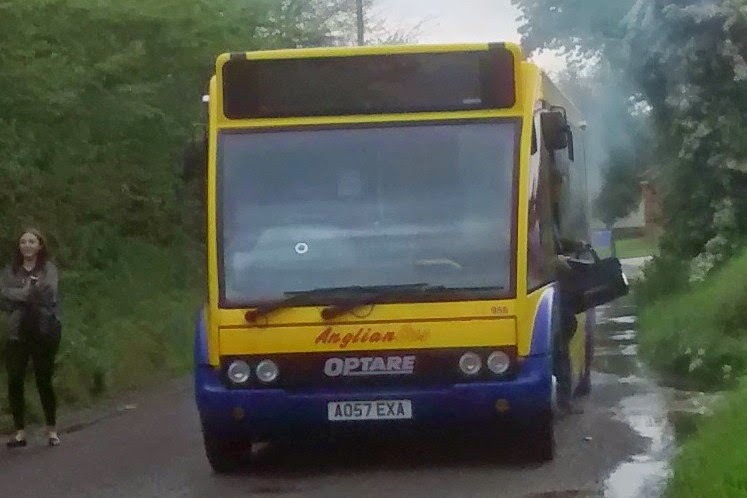 Following our exclusive report on Optare Solo 958 AO57EXA catching fire at Filby on Monday afternoon, Anglian advises that it has been withdrawn. 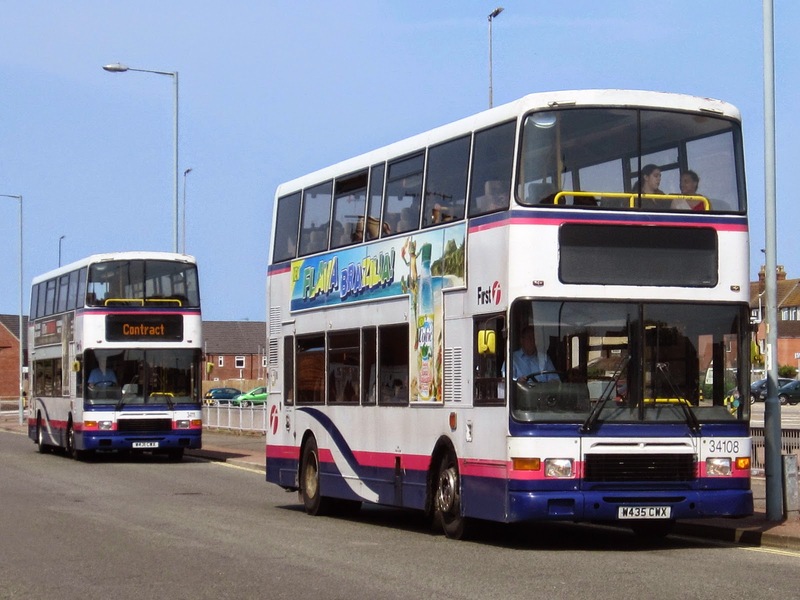 Other news from Anglian is that East Lancs Lolyne bodied Dennis Tridents 722 W822NNJ and 723 W823NNJ have joined the fleet from Konect. 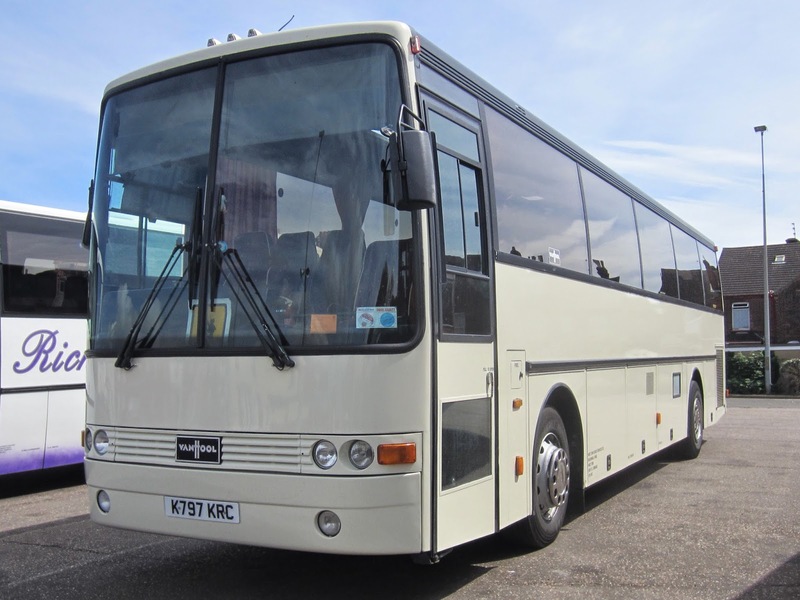 Similar 713 T813RFG has been withdrawn. 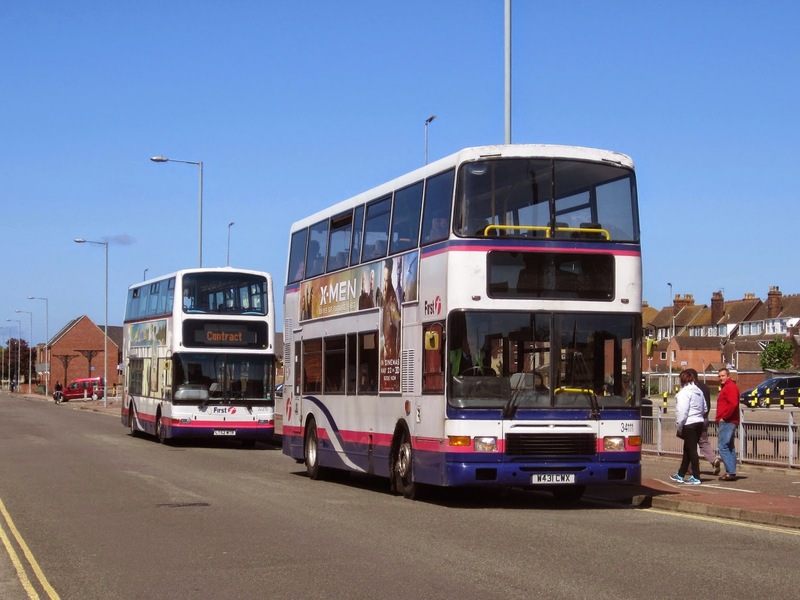 All three were new to another Go Ahead subsidiary, Brighton & Hove. Many of the Volvo Olympians were out today with my mobile chirping away every time anyone saw one! 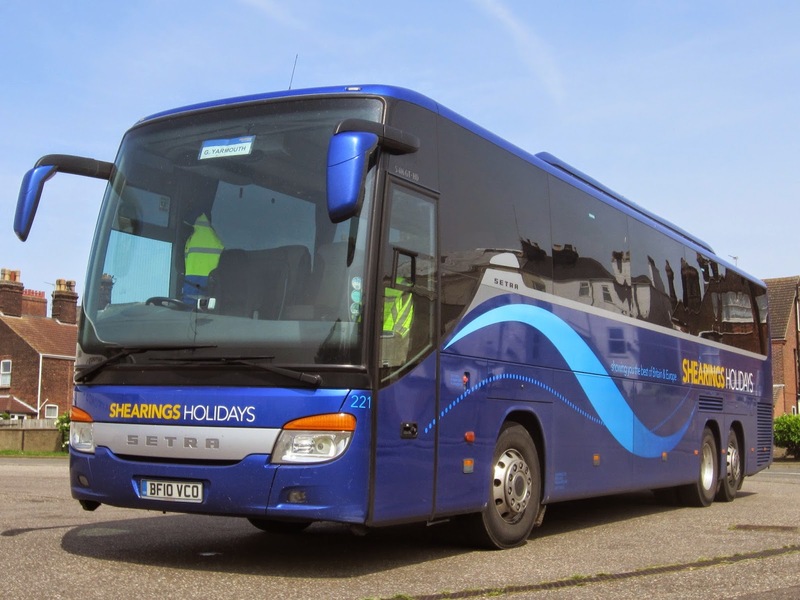 Buses will be diverted via Church Lane and Church Road in both directions and passengers wishing to travel towards Yarmouth should board at the temporary stop on Church Road opposite the church. 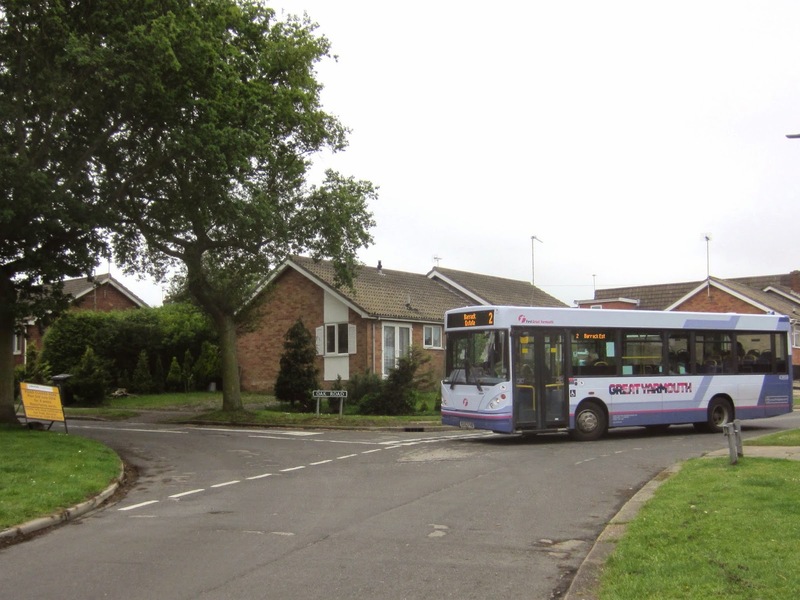 Southbound buses towards Lowestoft, James Paget Hospital and Belton etc. will stop on Church Road near the church. 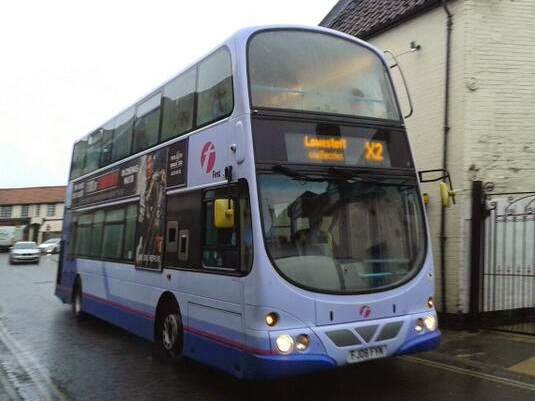 Passengers for service 1 to Lowestoft can also use the stop outside the Tramway Public House on Lowestoft Road. 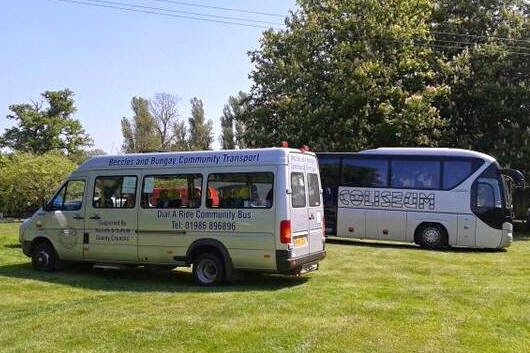 'The bus in question was 958 AO57EXA, an Optare Solo, running the 68 from Gorleston to Rackheath and the precise location of the fire was at Croft Hill Farm, Filby. 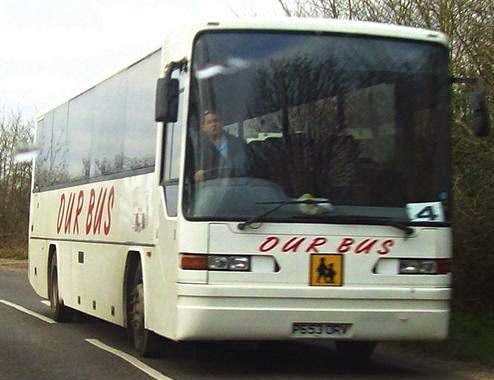 What happened was passengers at the back first shouted down at the driver saying there is black smoke coming out of the back. 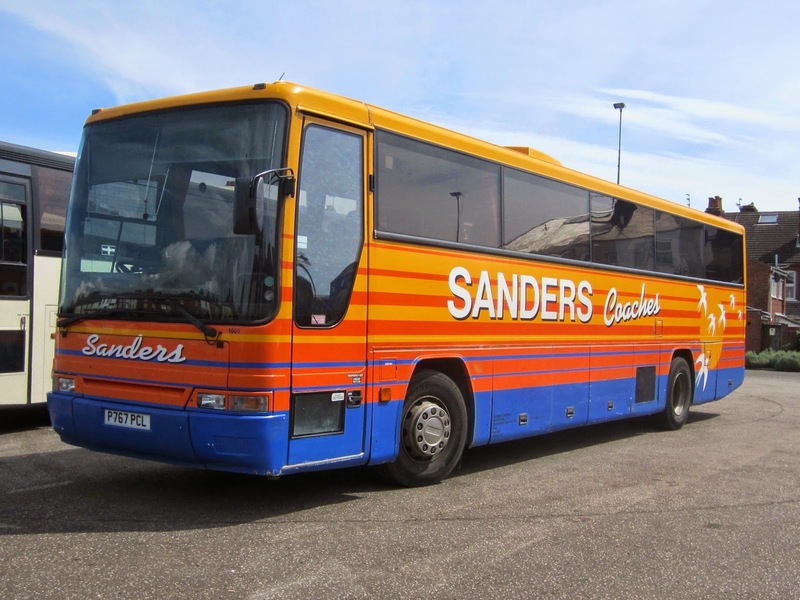 The driver immediately stopped the bus and checked the rear and then ran back to evacuate all passengers and got us all well of the way from the vehicle. 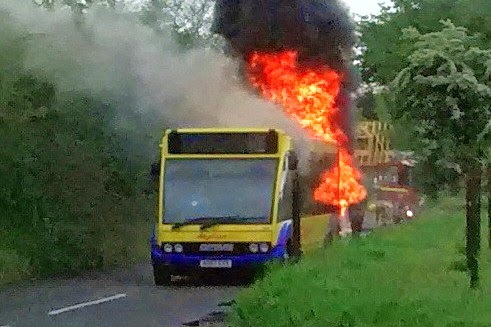 Within moments of us being evacuated, thick smoke could be seen coming from the bus followed just 5 mins later with flames. 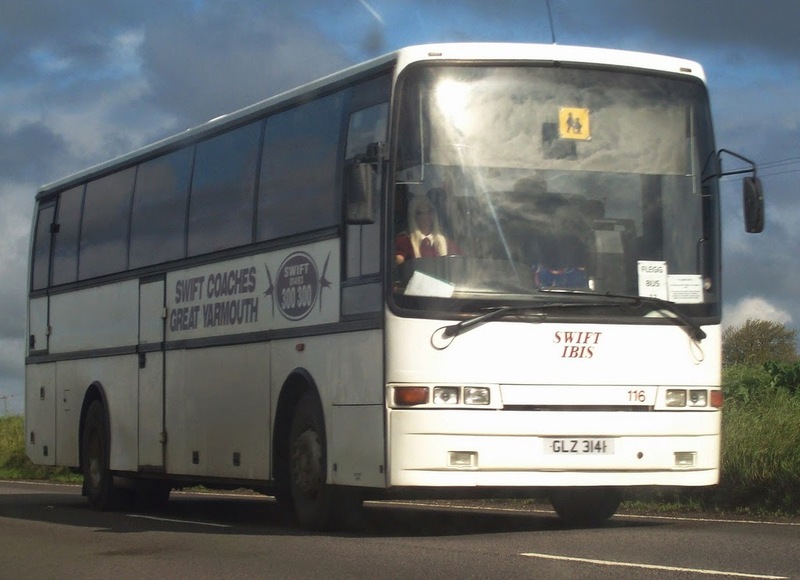 The driver had already phoned the Anglianbus manager and the Great Yarmouth Fire Brigade, both of whom had a very fast response time. 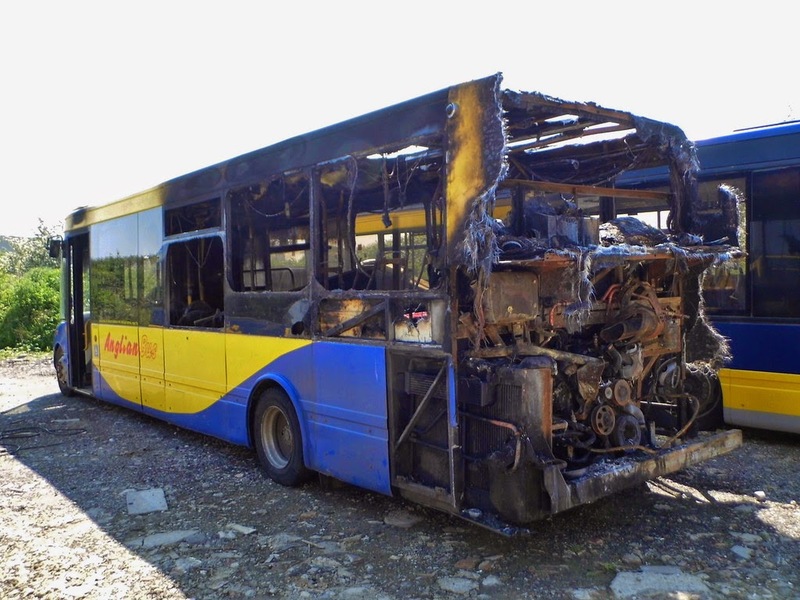 While it was being extinguished the bus started tripping out, as the screenwash activated itself together with the windscreen wipers; it looked like a failed emergency feature. I was just glad that everyone was evacuated safely. I am very grateful to the Great Yarmouth Police and Fire Service for their swift response time and how they handled the situation. 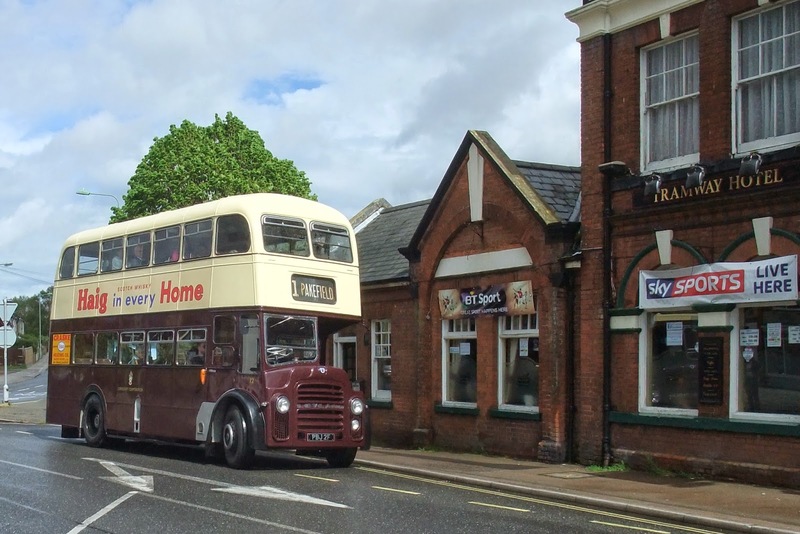 'Lowestoft Corporation Leyland Titan PD2/47 Number PBJ2F was first registered on 8th August 1967, I walked down into town and was the first, and only, passenger on her first run in service. 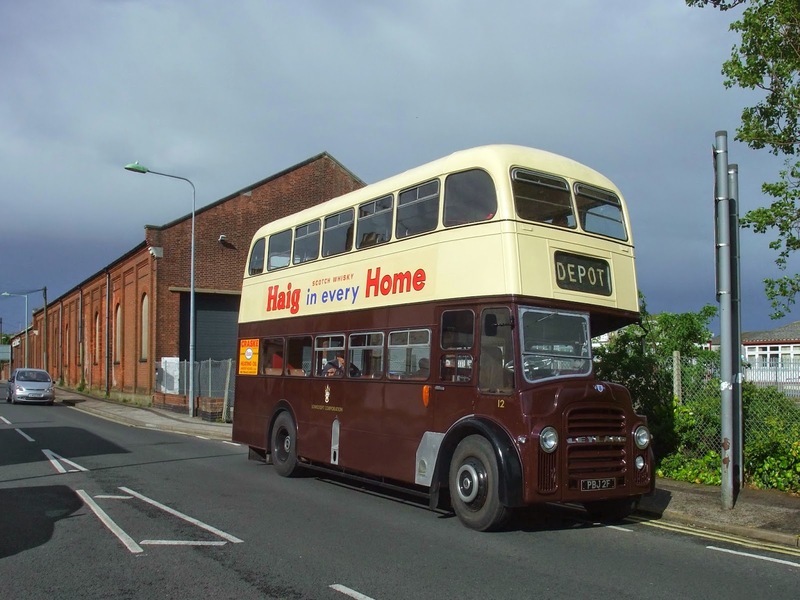 Withdrawn in 1977 she spent around 10 years in a scrap yard before being rescued for preservation. 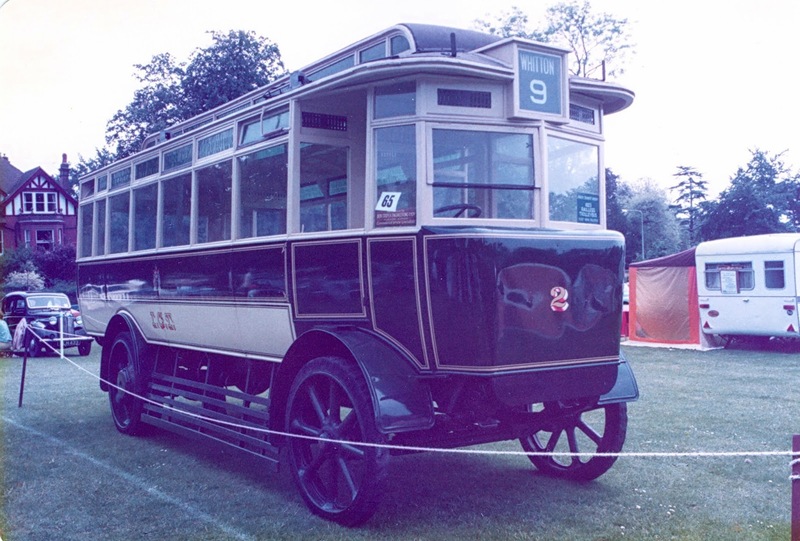 Only returned to the road a couple of years back, it was restored to a very high standard by Mick Betterton. Still 98 per cent original, PBJ2F attended quite a few rallys but was always a static exhibit. weekend by myself, Daniel Peart and Richard Alger. Despite the damp weather number 12 was brought to the 'Suffolk Made or Operated' event at Carlton Colville. 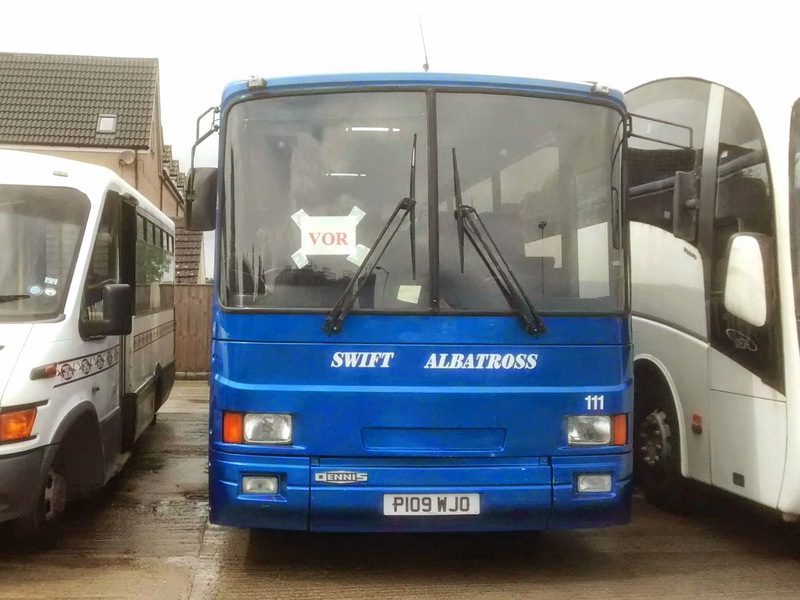 more on a run into Lowestoft, the first people to travel on her in 37 years. On the return we paused outside the Tramway at Pakefield, the first terminus she operated to when new on service 1, with correct destination display of course.